At least he has that knife. Apple doesn’t spend the least of any huge company on security for head Tim Cook, but it’s way less than we expected. Considering the iPhone maker is the biggest company, well, ever, we thought that its board might be especially interested in shelling out some major coin to keep Cook safe. But we looked at several different corporations, and Apple’s spending on CEO security is on the lower end. Like the way lower end. As in, you would not believe how much Facebook pays to keep founder and head Mark Zuckerberg alive. Still, that’s a lot of money on guards and systems. Zuckerberg is definitely the high point; nobody else we examined comes even close. Amazon pays $1.6 million to keep head Jeff Bezos safe. Bezos’ annual salary, as of 2013, was $81,840. Zuckerberg’s? $1 a year. But what about Tim Cook? 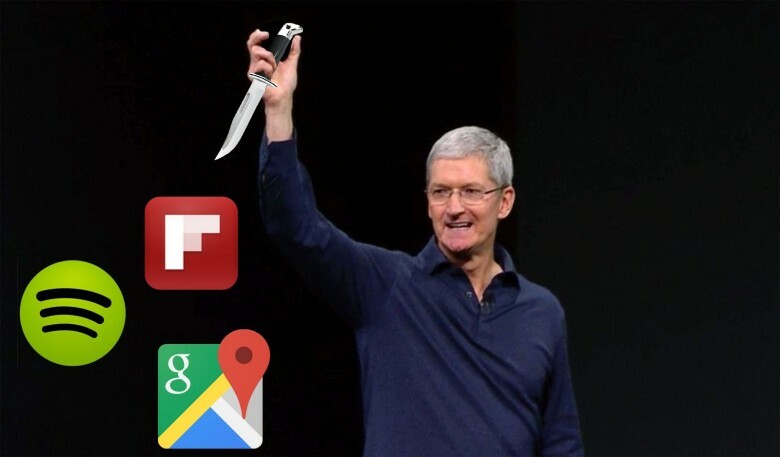 Well, Apple racks up $209,151 in expenses related to its CEO security. But he also made $2 million just in salary last year, so maybe it balances out with those other two guys? This is why we don’t do accounting for major corporations. That’s where you’ll find out that Google paid $348,492 in 2012 to protect board chair Eric Schmidt, but neither Microsoft nor Tesla list any such expenses. That’s not to say that Microsoft CEO Satya Nadella and Tesla head Elon Musk are on their own, but they likely just foot those bills themselves instead of passing them along to their companies. By the way, Coca-Cola “only” spent $128,333 on protection for head Muhtar Kent and $91,116 for VP Ahmet Bozer, so at least some companies with security budgets are spending less than Apple is. If you don’t want to go through a lot of SEC filings — and nobody on Earth would blame you — Fortune published a pretty interesting list last year that gives a pretty good idea of how much companies spend on CEO security. Apple would be between FedEx ($320,000) and Verizon ($154,000), and it would be way above Phillips 66, which only spent $284 to look out for CEO Greg Garland. We don’t even know what that would buy; you can barely get a single, decent security camera for that much.